The SADC TFCA Network community has responded in shock by the sudden death of one of its greatest champions: Ernest Mokganedi. Ernest was killed in a motorcycle accident on Saturday 28 July 2018, where also two of his fellow comrades were seriously injured. 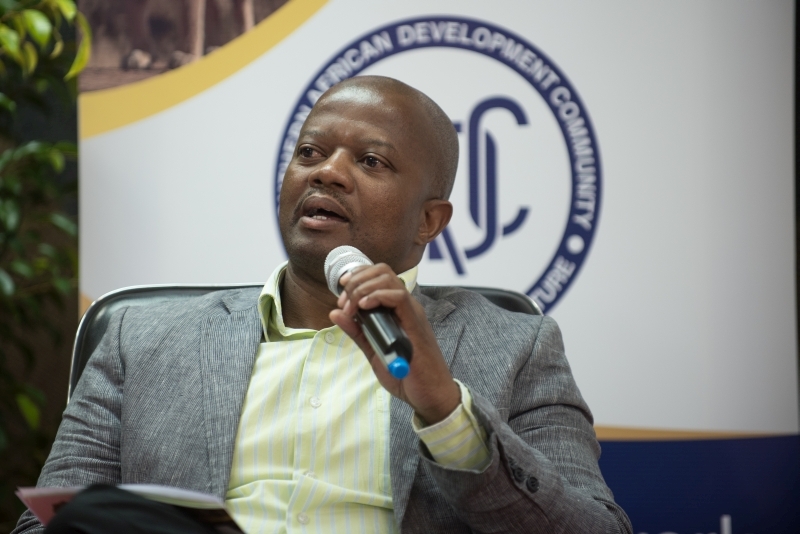 He was the Chair of the SADC TFCA Network Steering Committee and a friend and mentor to many. As Director of Transfrontier Conservation Areas in the Department of Environmental Affairs in South Africa since 2002, Ernest has been a guiding light to the creation of TFCAs in South Africa and in the region. He has supported the establishment of the SADC TFCA Network and facilitated many of the processes leading to SADC being the region with most TFCAs in the world, while never forgetting the importance of bringing together rural development and conservation, bridging conflictual discourse and leading the path to dialogue and unity. Naambo Josephine Iipinge, TFCA Coordinator for Namibia and Vice-Chair of the SADC TFCA Network Steering Committee adds: “Ernest was a giant amongst TFCA practitioners, a great mentor, a trusted collaborator and someone with a deep routed belief that without community development and benefits in the equation of TFCA management, our efforts will be futile”. As a keen and experienced biker, and member of the Tshwane Legend Bikers club, he was able to merge his two passions and bring novelty tourism to TFCAs, raising awareness on the importance of transfrontier conservation for peace and sustainable development in the region. Hence the groundbreaking KAZA Motorcycle Tour was held in May 2018 and covering all 5 countries forming the Kavango Zambezi (KAZA) TFCA. We have to acknowledge Ernest’s early departure and say goodbye to someone that cannot be replaced but whose spirit lives on in the unfinished work that lies ahead of us. Our deepest sympathies go out to his family, friends and colleagues.